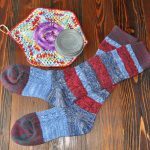 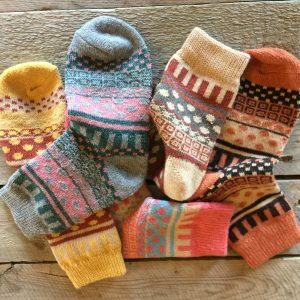 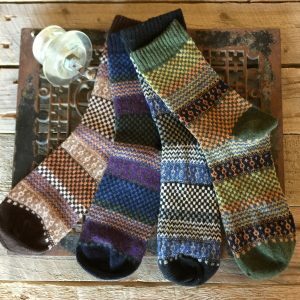 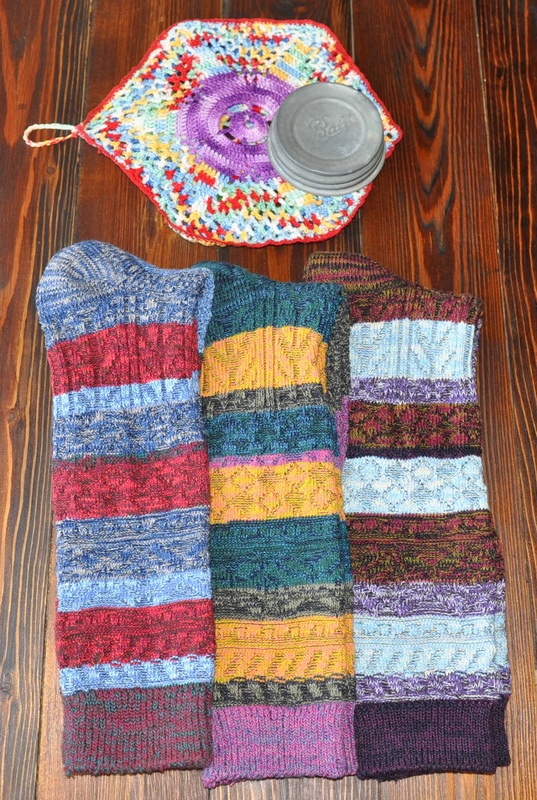 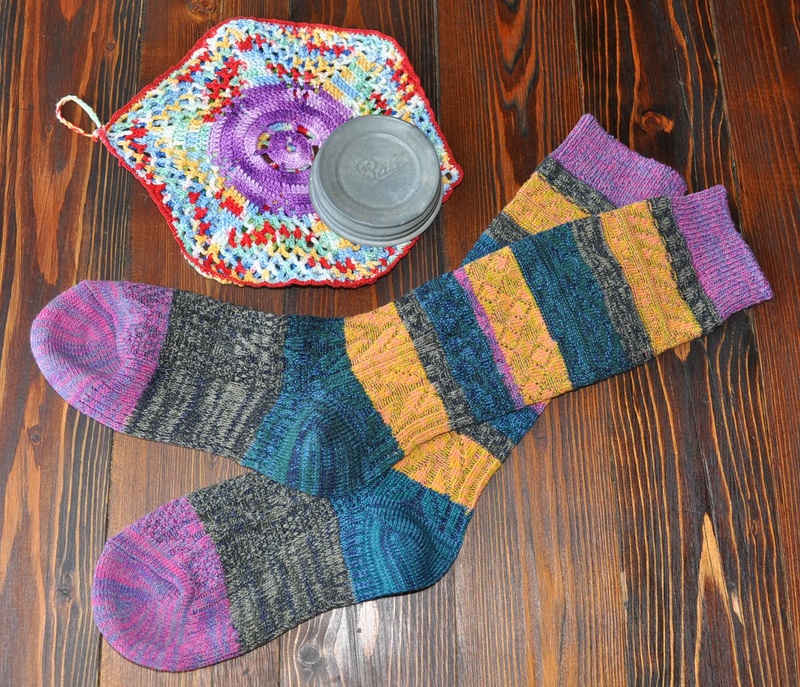 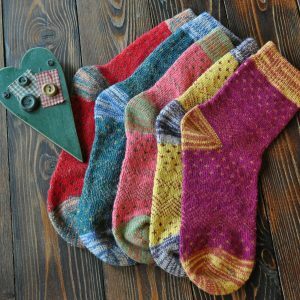 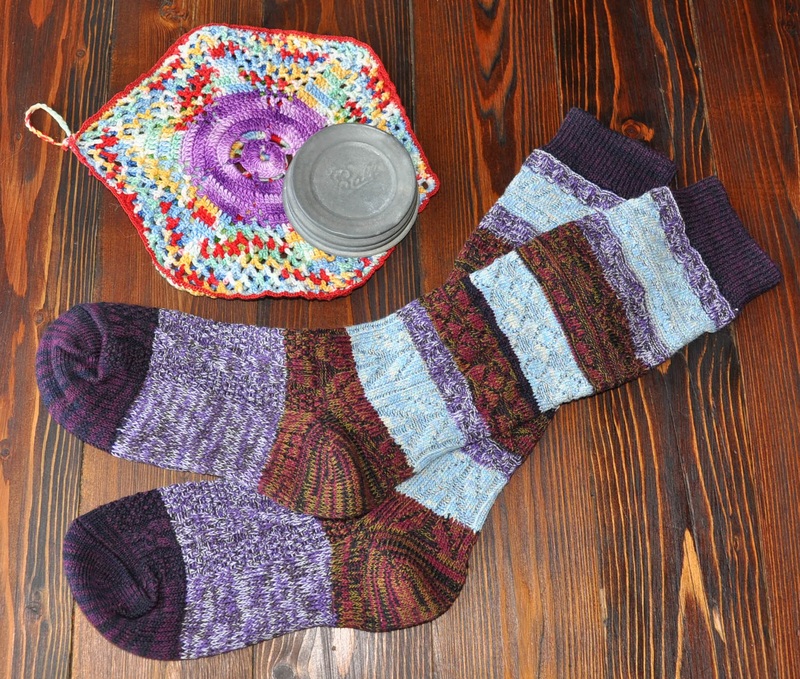 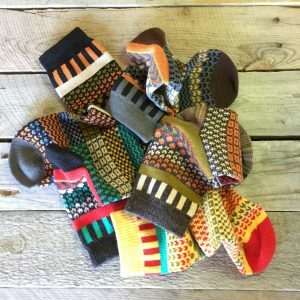 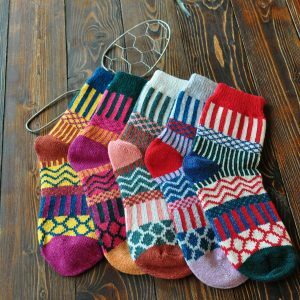 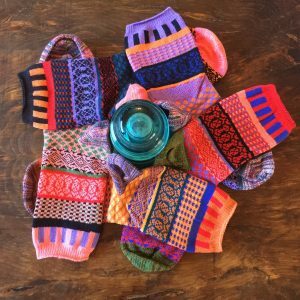 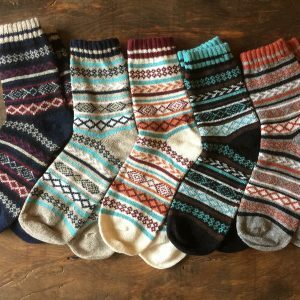 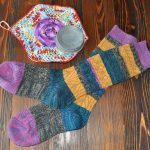 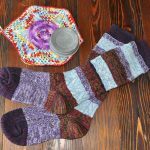 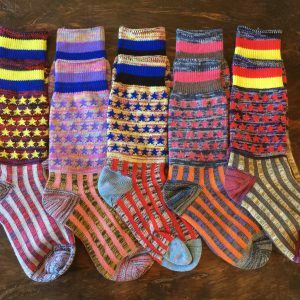 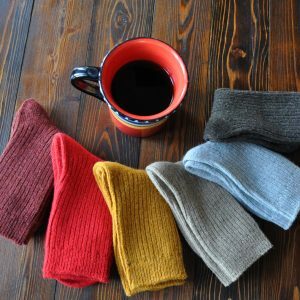 If you’re looking for socks with flavor and color, look no further than Antora Peak! 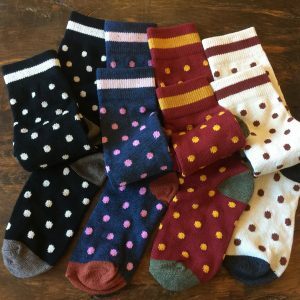 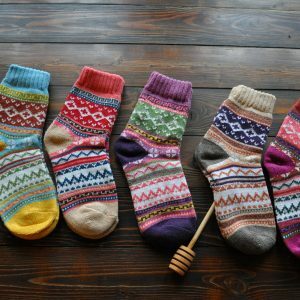 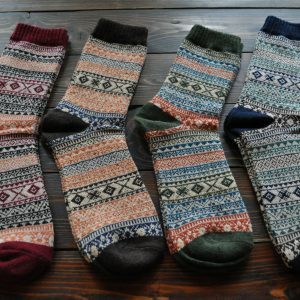 These exciting socks are composed of 86% cotton, 2% silk, 10% spandex and 2% eleastic. 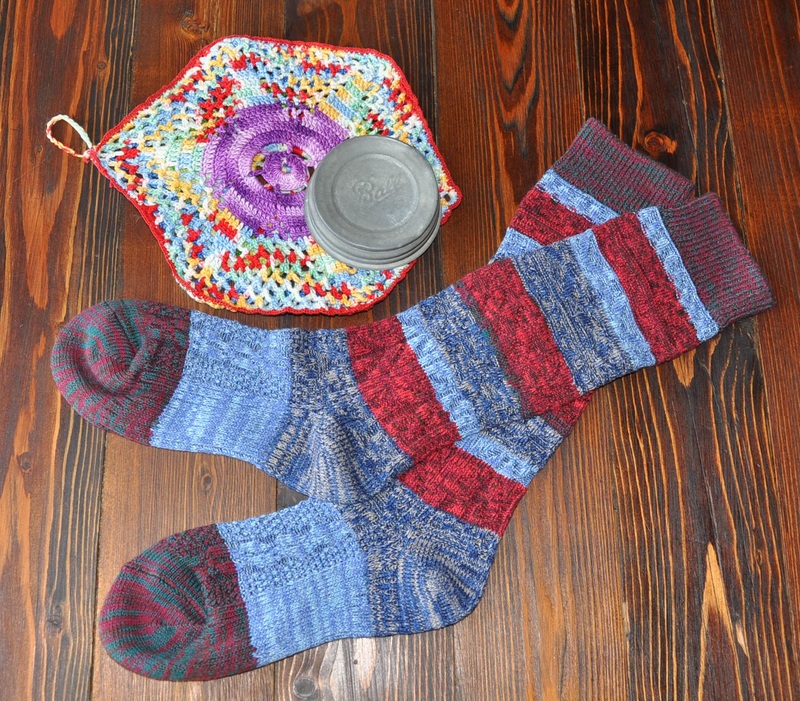 They measure 11 and a half inches from the center of the heal to the top of the sock.